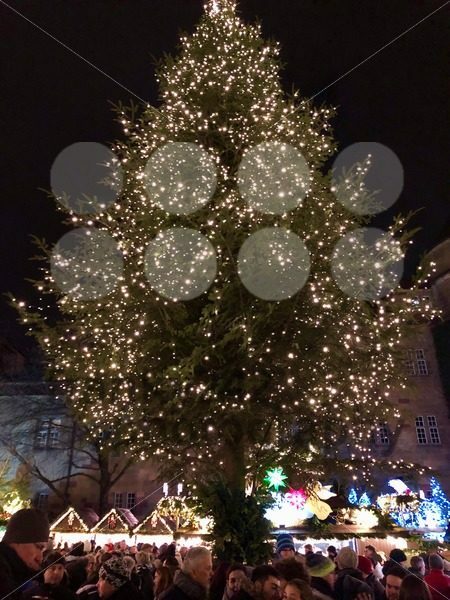 Categories: Christmas, Holidays, People, Travel. 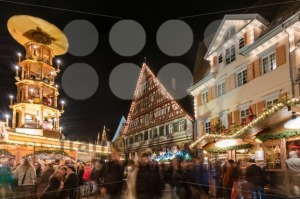 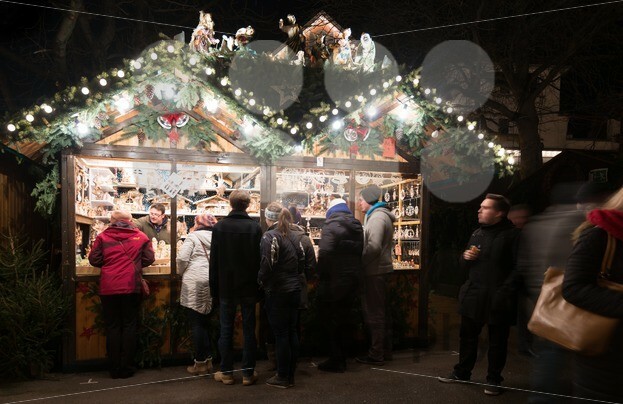 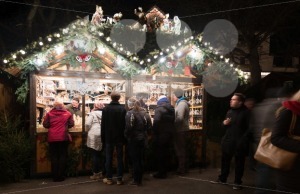 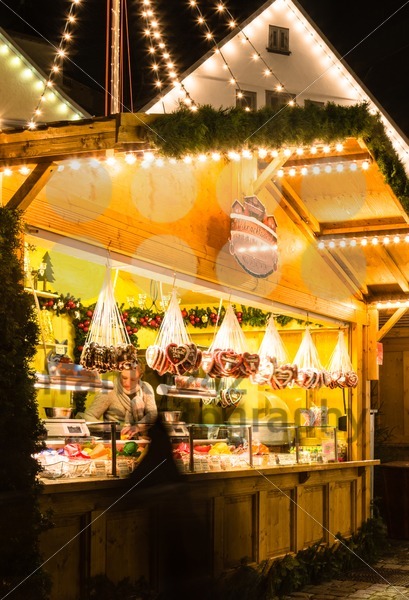 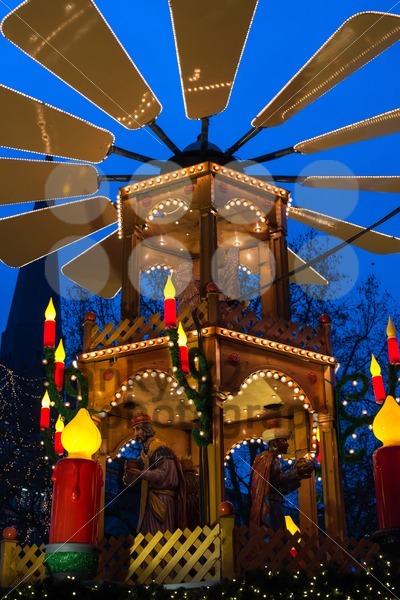 ESSLINGEN, GERMANY – DECEMBER 11, 2014: Stall at the Christmas Market at night on December 11, 2014 in Esslingen, Germany. 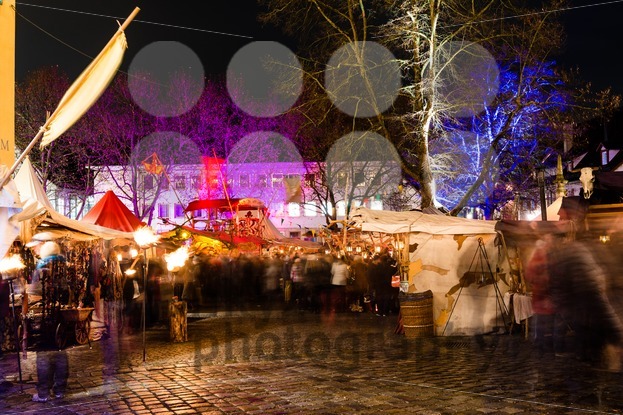 Esslingen at the river Neckar is famous for its annual medieval Christmas Market, attracting thousands of visitors during Christmas time.